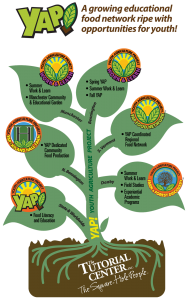 Youth Agriculture Project is one of The Tutorial Center’s most popular and exciting programs. It brings together the best of all worlds: growing fresh healthy produce, essential job skills training for local youth, environmental sustainability & community involvement, plus support for local charitable health and human services organizations. 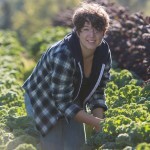 Since 2006, our Youth Agriculture Project has been providing at-risk youth ages 16-21 with opportunities to experience success as they develop transferable job and life skills through the growing, harvesting and marketing of plants and vegetable crops. Click here to get the COMPLETE DIRT on YAP! : Our history, our programs, our succes! 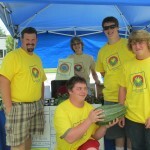 Youth Agriculture Project positively impacts the lives of at-risk youth! • 54% are now high school graduates! 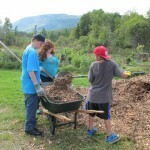 Youth Agriculture Project makes a difference in our community!